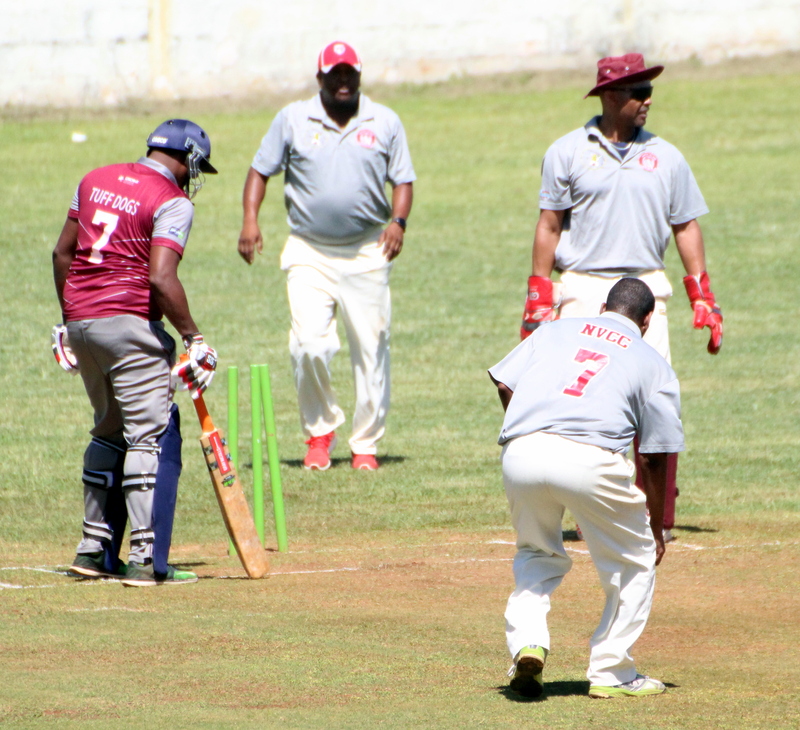 Dean Minors was the top scorer with 88, he faced 40 deliveries, hitting 7 fours and 8 sixes, while Tim Davis added 76 he faced 78 balls with 7 fours and 3 sixes, Jordan DeSilva scored 71 off 57 ball hitting 7 fours and 4 sixes and McLaren Lowe scored 52 off 41 hitting 6 fours and 3 sixes. Dion Ball Jr was the pick of the North Village bowlers with figures of 10-0-94-5. ..52 (27) McLaren Lowe c Terryn Fray b Michael Levon Jr.
..76 (78) Tim Davis c Terryn Fray b Dion Ball Jr.
..71 (57) Jordan DeSilva b Dion Ball Jr.
..16 (18) Daniel Morgan c Cal Dill Jr.
..88 (40) Dean Minors b Michael Levon Jr.
..21 (12) Terence Corday b Dion Ball Jr.
..00 (02) Dumferd Davis LBW Dion Ball Jr.